Inside the Joan Harriss Pavilion. I feel a bit like a projectile in a slingshot, coming home to Newfoundland, where the creative community here is collectively holding its breath as we wait to assess the total fallout from the latest provincial budget. In contrast, just across the water in Cape Breton, I was taking part in such a forward-looking, and inspirational conference on the immense value of the creative sector to the local economy. I'm struggling to hang on to that vibe. 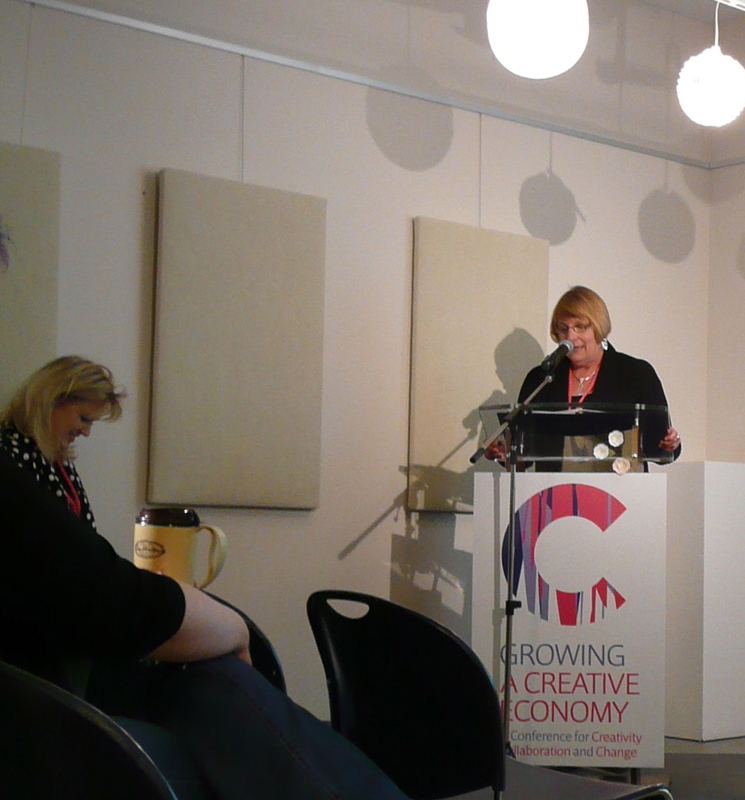 Growing a Creative Economy: A Conference for Creativity, Collaboration, and Change was hosted by the Cape Breton Centre for Craft and Design. The list of speakers and artistic presenters was bogglingly impressive. 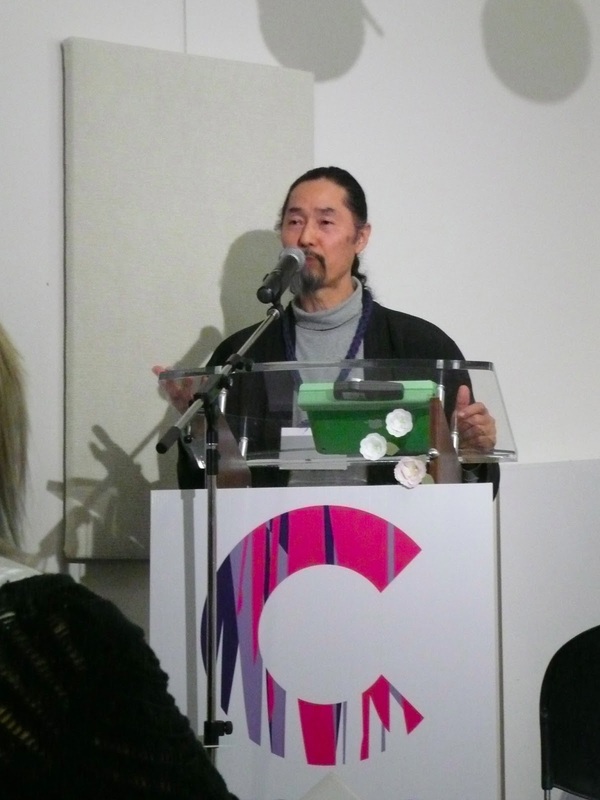 From internationally recognizable names in the arts to local representatives from the department of education, the range of speakers gave macro and micro perspectives on what works and what doesn't in developing an economy that supports its creative people. There were musicians, visual artists, spoken-word artists, educators, film makers, craftspeople, innovators, writers and dancers in attendance or giving presentations. From Newfoundland I was the only delegate to attend the conference, and David Hayashida from King's Point Pottery attended as one of the speakers. It was too bad there weren't more representatives from other organizations here in Newfoundland & Labrador who could attend. Perhaps next year. 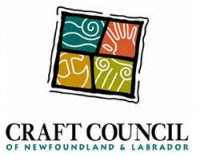 I attended both out of a personal interest, as well as as a representative for the Craft Council of Newfoundland & Labrador. I took a massive amount of notes, but here, along with some photos, is some of what I gleaned from the 3 day event. Any errors in the accuracy of this information should be construed as my own, having occurred in transcribing. If you find any please let me know. Staying on top of trends keeps your product relevant to a customer that is seeing the lifestyle they want (in contrast to need) depicted in magazines and media. Be aware of trends and find ways to tie your product into what's happening currently. Keep your shop fresh. Customers notice change. Rearrange product frequently. The experience of visiting your shop should not be a predictable one for them - there should be new surprises to catch their attention. Make it a sensory experience - thinking beyond just the visual. The customer should feel comfortable in the shop. Give them the information they need (price, purpose of product should be visible to them), and make the product accessible to them if they wish to touch it. If they're unsure of what something is used for, or of it's price point, or whether or not they're allowed to touch it, they feel intimidated and may not return. High risk can lead to high reward. Failures will happen. We must choose to use them as learning opportunities. 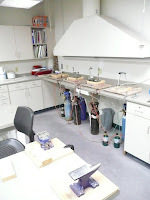 Examples of "failures" in material manipulation that have been turned into valuable successes are the spalting found in wood, the oxidation of metals, or shino glazes in pottery. Innovation is something we are all capable of. It is simply a way of using existing things in new ways. Finding the success can take time. Embrace the "slow-cooker experience": allow ideas time to simmer. Get them recorded somewhere and return to them later. The Pareto principle: 80% of the profit will come from 20% of the product line. Work smarter on the right things. Four Steps to Success with Social Media: 1. Find Interested People, 2. Deliver Quality Content, 3. Capture Information, and 4. Stay in Touch. Get the greatest impact from your social media marketing by posting in the morning or evening. Avoid the hours of 2-5 pm. Content should be genuine. Provide a variety (photos, video, articles), and focus on the relationship (80%), not just the selling (20% - see "Pareto principle" above!). Measure impact: know how to read your analytics. Share content on other local sites whose customer base would be interested in your work (ie: share an event, or spring opening date, on the local tourism site). A press kit is a resume for your business. Customize your kit depending on your pitch. Beautiful environments create beautiful people. Prisons create prisoners. How people are treated drives their behavior. Art is a tool that engages kids in all aspects of learning. You can take one room and make the whole world out of it. Don't get hung up on the adequacy or lack thereof of the physical facility you have to work with. In consultation with the creative community four key areas were identified as needing attention: 1. Greater recognition and appreciation for the contribution the creative sector contributes to the economy, 2. Listening and communicating better with government, 3. Making it easier to interact with government, and 4. Investing in the creative community. Out of this came the Creative Nova Scotia Leadership Council (which is composed of 2 government representatives, 1 member of ArtsNS, and 12 representatives from the broader creative community), as well as the creation of Film & Creative Industries Nova Scotia which encompasses the creative industries of film, music, publishing, craft, and design. Creating a permeability to the built environment. Everyone should feel welcome no matter the space. Seizing the current trend of "pop-up" art galleries. Empty storefronts are transformed by artists for the revitalization of the community. Property owners benefit from having a vibrant appearance to the spaces they are looking to lease. The spaces are leased to artists for $1 per month (yes, one dollar), and they are given 30 days notice in the event a permanent (full-price) tenant is found. Besides the artist and the property owner, a community partner is involved to help assess the project's suitability for the proposed space (to mitigate the level of inappropriate or controversial content visible from the street, in the chosen venue). 85 - 100 art experiences throughout 5 "zones" in the city, at night. (Predictable) Challenges: 1. Sustainability of funding, 2. Human resources/volunteers, 3. Maintaining quality of programming. "Artistic labour has the attitudes and skills conducive to innovation." R.Florida, cultural writer. The paradox is that cultural enterprises must be commercialized to be measurable in terms of economic impact. Yet the culture must exist as a a stand-alone entity in a vibrant way in order for sustainable and meaningful economic growth to occur from it. Their 5 year old building houses conference/exhibition space, craft studios and classes in the disciplines of jewellery, weaving, quilting, oil painting, and stained glass, a shop as well as a gallery. This year they have had a 15% increase in revenue over last year, and a 40% increase in gallery sales over last year. They have initiated the Artisan Trail Map as well as an accompanying app. Their goal is to become a member of The Creative Cities Network. Festival has grown beyond including just local musicians to include other creative disciplines, as well as musicians from afar. The focus remains on Celtic Colours being a festival for the local population, but the added attention from outside NS has enabled more local artists to make a living within the province. Began in 2004 as flooring supplier, but quickly switched to the new product line of cutting boards. Joined the CBCCD, and attended the Atlantic Craft Trade Show, and by 2010 were up to 13 employees. With a loan from ECBC, traveled to tradeshows across the US. Product is now carried by William Sonoma, and Saks. Their goal is to have their wood FSC certified. Found a solution to a problem. Developed, created and patented the High Hat Drop Clutch. Sought endorsements from reputable drummers. Found a gap in the local supply chain. Amassed the knowledge, hired the right people, and filled the gap. Passionate about partnering within the local community. Encountered a problem as a musician in staying organized. Found a solution in partnering with a local software guy. Saw the potential to offer the product more widely. Sought out local festivals to pitch to. Worked out the kinks locally. Now supplying product to international festival organizers. The Remix Project: a recording studio, business incubator, graphic design incubator, and health centre for at-risk youth in Toronto. Embracing the baggage the kids come into the program with - inviting them to unpack it all, make it into art. Every applicant gets an interview. For two reasons: 1. They deserve one, simply for putting themselves out there, and 2. in an area with high literacy challenges, it gives a broader perspective on the kid's abilities. The program is 9 months long, and steers participants towards post-secondary education. They are committed to work on their art a minimum of 10 hours per week and take a course-load composed of (mandatory) Transferable Work Skills and Interest Specific Classes, as well as being partnered with a mentor. Upon completion of the program, they may find employment with one of the Centre's two social enterprise businesses (on a contract basis only - with the goal of carrying on into the wider community), and they will be followed up with one year after graduation. There is a scholarship program established with Humber College, as well as a partnership with the local Board of Education to reintegrate suitable students back into the school systems as part of a co-op program. 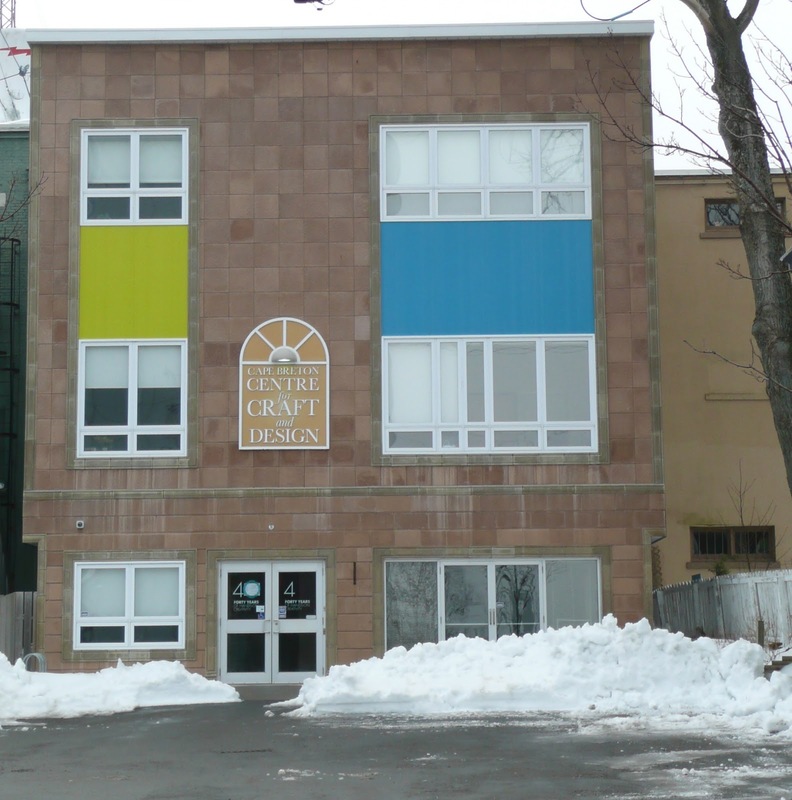 Funding for the space and administration of the program has been through corporate sponsorship, and for the programming itself through grass-roots fundraising initiatives. Shauntay Grant performed three powerful spoken word pieces. She coordinates a spoken word showcase and charitable poetry slam series called CommUNITY. Participants write a poem about their chosen charity and present it at the the poetry slam. Three judges from the audience choose a winner, and the money raised from admission to the event is given to the winning poet's charity. 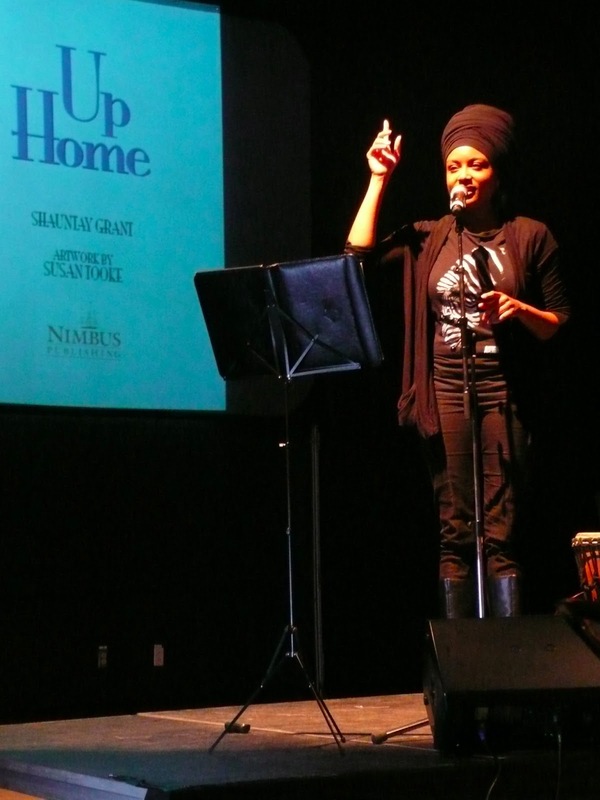 She has also partnered with a children's book illustrator, (Susan Tooke) to publish two of her spoken word compositions, Up Home, and The City Speaks in Drums with Nimbus Publishers. Facilitates the Ancestor's Project in collaboration with Beaverbrook Gallery: aboriginal artists return to their reserve to mentor youth. Solutions to the problem of finding employment in the creative sector: 1. Demonstrate to government the economic value of the creative economy. 2. Involving the private sector in master classes and intern opportunities. 3. Focus on arts education at an early age. 4. Increased accessibility to DIY and digital resources. 5. Encouraging the adoption of technology early in the process. Barriers to recruitment in the cultural industries are the competitive nature of the environment, as well as the necessity of being a self-starter. It is necessary to have a willingness to create one's own job - to have a strong entrepreneurial sense. A solution that can help creative people find/thrive within their niche in a creative economy is for educational institutions to offer courses in business skills. Public educational institutions can step up by engaging students in all curriculum areas in ways that promote creativity and innovation. 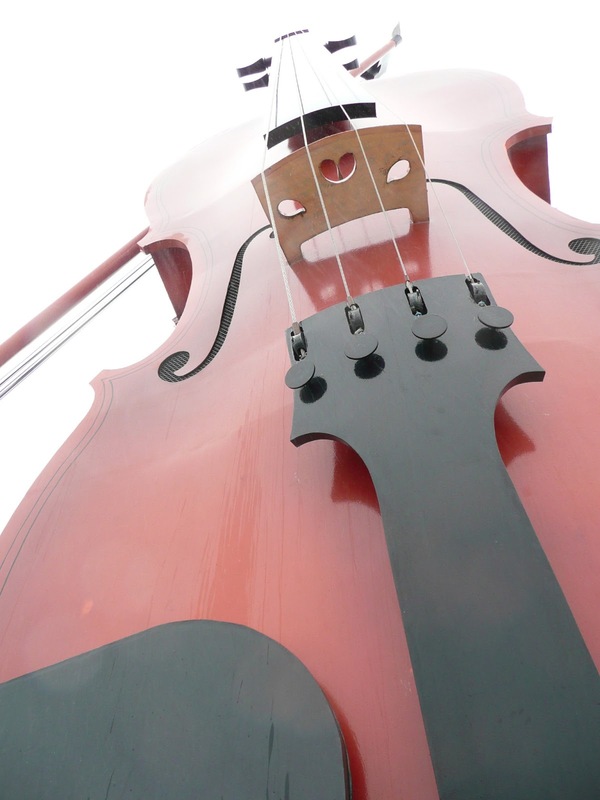 Solutions that are in place in Nova Scotia's schools are the Artslinks and Artists in Schools programs. These programs are eligible for grant money. To provide support to young creative youth, communities can: 1. facilitate positive conversation around the economic benefits of a creative community. 2. recognize that art for art's sake is ok too. 3. support small grass roots venues. 4. offer mentorship opportunities. 5. have co-op programs in schools. Leah gave a moving stream-of-consciousness presentation of her experiences and challenges as a first year graphic design student. 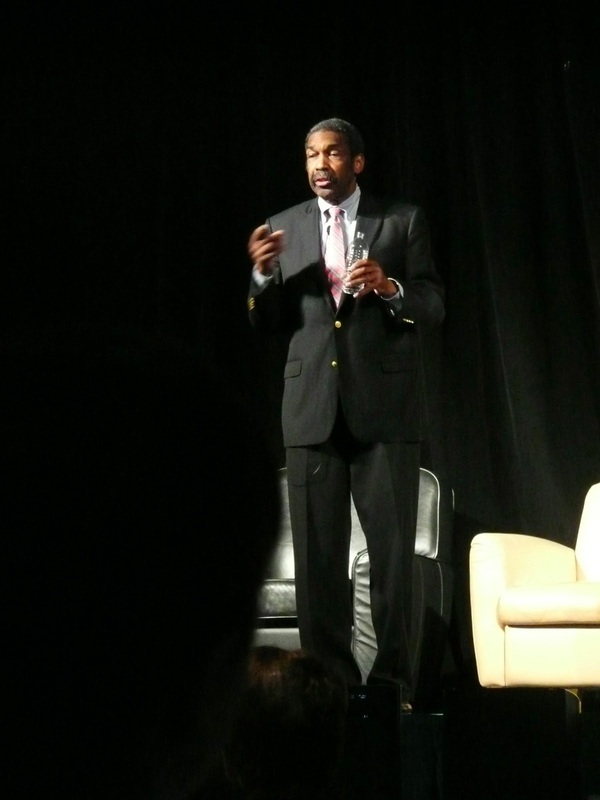 The conference concluded with an activity called The Next Steps Cafe. We brainstormed commitments to action that could be taken immediately upon our return to our communities that would help to grow and foster the ideas behind the creative economy model. The ideas from each group were collected and will be emailed out to every participant. 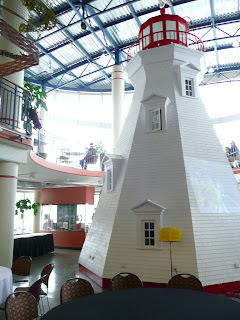 My commitment was to compile all this info I've gathered and pass it along to other arts and education organizations in my community, with the hope that at next year's conference (for which there is great enthusiasm at the CBCCD) there will be a larger Newfoundland contingent. If you've read this far, you certainly deserve to see those photos I promised! Days Two & Three @ Joan Harriss Pavilion, beautiful building. A collaborative activity during the conference. An art installation by Aaron Acosta. Painting by Kenny Boone, as part of his LIVE Paint by music project. Painting shown done at the studio of Otis Tomas. A fabulous young band from Cape Breton, Bella Rebellion. Shauntay Grant, spoken word artist extraordinaire.